*Aggravated Momentum (Deal, Not Free) by Didi Oviatt. Price: $3.99. Genre: Suspense Thriller Deal of the Day, Sponsor, Conspiracy Thriller, Serial Killers. Rated: 4.5 stars on 2 Reviews. 182 pages. ASIN: B01M12SVV2. *Witchy Woman (Book 2, The Necromancer): Psychic Suspense (Deal, Not Free) by Pamela M. Richter. Price: $0.99. Genre: Supernatural Thriller Deal of the Day, Sponsor, Conspiracy Thriller, Occult, Paranormal Suspense. Rated: 5 stars on 7 Reviews. 236 pages. ASIN: B01DFWNFPQ. *Katheryn, The Wanton (Deal, Not Free) by Maureen Peters. Price: $0.99. Genre: Medieval Historical Romance Deal of the Day, Sponsor, British Historical Fiction, Tudor Romance. Rated: 4 stars on 5 Reviews. 374 pages. ASIN: B01FSXA38M. *To Catch A Duke (Tales From Seldon Park Book 1) (Deal, Not Free) by Bethany Sefchick. Price: $0.99. Genre: Adult Regency Historical Romance Deal of the Day, Sponsor, Historical. Rated: 4.2 stars on 9 Reviews. 161 pages. ASIN: B00I8OIXGI. *Michael’s Passion (A Series of Angels Book 1) (Del, Not Free) by Joel Crofoot, Erica Petit, Zoe Snow. Price: $0.99. Genre: Adult Fantasy Romance Deal of the Day, Sponsor, Archangel Romance. Rated: 5 stars on 2 Reviews. 137 pages. ASIN: B01LRPXIIC. *Romance: Sucker for the Boss (Billionaire’s Personal Assistant Office Romance) (New Adult Taboo Bad Boy Contemporary Romance) (Deal, Not Free) by Rachelle North. Price: $0.99. Genre: Adult Billionaire Romance Deal of the Day, Sponsor, New Adult & College Romance. Rated: 5 stars on 1 Reviews. 240 pages. ASIN: B01KKM7KUU. *(Free For Kindle Unlimited) The Earth Experience (Deal Free) by C.O. Hunter. Price: $2.99. Genre: YA Fiction Book Deal of the Day, Sponsor, Reincarnation, Astral Projection, Ethics & Morality. Rated: 5 stars on 1 Reviews. 176 pages. ASIN: B01KI6Y0RE. ***Family Blood: The True Story of The Yom Kippur Murders (Deal, Not Free) by Marvin J. Wolf. Price: $0.99. Genre: Nonfiction Deal of the Day, Sponsor, True Crime, Murder & Mayhem. Rated: 4 stars on 213 Reviews. 338 pages. ASIN: B00B2N230E. *(Free For Kindle Unlimited) Dubai, 1 City 2 Different Tales: Chilling True Short Story Collections Set In The Middle East Tell The Dazzling City’s Beastly Wicked Side. (Deal, Not Free) by Northern Empress. Price: $2.99. Genre: Nonfiction Book Deal of the Day, Sponsor, Memoirs, Dubai True Stories, Chilling Stories. Rated: 5 stars on 3 Reviews. 257 pages. ASIN: B01EKPNQUG. *(Free For Kindle Unlimited) The Essence of Spiritual Wisdom: Beyond Religions: Presented in Diagrams for Easier Understanding (Deal, Not Free) by Lord Tengku Seraski Koling Mochtar. Price: $9.99. Genre: Nonfiction Book Deal of the Day, Sponsor, Spiritual Wisdom, Occult, Beyond Religion. Rated: 5 stars on 1 Reviews. 128 pages. ASIN: B01L4CIDZG. *The Five Paths to Happiness: The Keys to Living a Happy Life According to Your Personality (Deal, Not Free) by Javier Ramon Brito. Price: $2.99. Genre: Self-Help Book Deal of the Day, Sponsor, Happiness, Nonfiction. Rated: 4.5 stars on 2 Reviews. 81 pages. ASIN: B01KI6YXWQ. *My Momma Said…100 Life Lessons Courtesy of Mom: Be the Best You Possible! (Deal, Not Free) by Jacqueline Winslow. Price: $0.99. Genre: Nonfiction Book Deal of the Day, Sponsor, Self-Help, Life Lessons. Rated: 5 stars on 2 Reviews. 110 pages. ASIN: B01LZZS1I2. *(Box Set Deal, Not Free) Mail Order Bride: Native Love in the West (Mail Order Brides and American Indians 7 Book Box Set Collection) With A Never Before Released Surprise Book (Deal, Not Free) by Emma Morgan. Price: $0.99. Genre: Christian Western & Frontier Romance Box Set Deal of the Day, Sponsor, Christian Romance. Rated: 5 stars on 1 Reviews. 277 pages. ASIN: B01M1UOZAB. *Of Epiphany (Deal, Not Free) by Surosh Shafihie. Price: $0.99. Genre: Christian Living Book Deal of the Day, Sponsor, Spiritual Growth, Theology, Christian Books. Rated: 4.6 stars on 8 Reviews. 316 pages. ASIN: B00LNCXDEE. *Gemini Gambit (Deal, Not Free) by D Johnson. Price: $0.99. Genre: Science Fiction Adventure Deal of the Day, Sponsor, Adventure. Rated: 4.6 stars on 13 Reviews. 454 pages. ASIN: B00TZABEII. *Bitsy (Deal, Not Free) by Rayna L. Stiner. Price: $0.99. Genre: Paranormal & Urban Fantasy Deal of Day, Sponsor, Dark Fantasy. Rated: 5 stars on 4 Reviews. 277 pages. ASIN: B01JF0KTBK. *The Impending Possession of Scarlet Wakebridge-Rosé (Deal, Not Free) by S. L. Saboviec. Price: $0.99. Genre: Dark Fantasy Deal of the Day, Sponsor, Horror, Metaphysical & Visionary, Gay Fiction, Paranormal & Urban Fantasy, LGBT. Rated: 4.8 stars on 5 Reviews. 434 pages. ASIN: B01KYAP7HG. ISBN: 0993744567. *(Free For Kindle Unlimited) Walk-In Investigations: A Paranormal Detective Mystery by Joyce Kostakis. Price: $5.99. Genre: Supernatural Mystery Deal of the Day, Sponsor, Psychics, Ghosts. Rated: 4.8 stars on 5 Reviews. 264 pages. ASIN: B01HRCG7B4. *The Faraday Cage (Deal, Not Free) by Steve Turnbull, Robert Harkess, Katy O’Dowd. Price: $0.99. Genre: Science Fiction Deal of the Day, Sponsor, Steampunk. Rated: 5 stars on 1 Reviews. 255 pages. ASIN: B01DYTTOUK. ISBN: 1910342424. **The Sword of Telemon (The Orfeo Saga Book 1) (Deal, Not Free) by Murray Lee Eiland Jr.. Price: $0.99. Genre: Historical Fiction Deal of the Day, Sponsor, Greek & Roman. Rated: 4.6 stars on 28 Reviews. 235 pages. ASIN: B01525T87I. *Culpable: An Isaac Black Missing Persons Investigation (Deal, Not Free) by John C. Berry. Price: $0.99. Genre: Crime Thriller Deal of the Day, Sponsor, Kidnapping. Rated: 4.7 stars on 7 Reviews. 324 pages. ASIN: B00D9SNNBS. **RATS (Deal, Not Free) by Joe Klingler. Price: $0.99. Genre: Suspense Thriller Deal of the Day, Sponsor, Political Thriller, Spies & Politics. Rated: 4.2 stars on 263 Reviews. 455 pages. ASIN: B00CAUSSZM. *(Free For Kindle Unlimited) Walk-In Investigations: A Paranormal Detective Mystery (Deal, Not Free) by Joyce Kostakis. Price: $5.99. Genre: Supernatural Mystery Deal of the Day, Sponsor, Psychics, Ghosts, Women Sleuths. Rated: 4.8 stars on 5 Reviews. 264 pages. ASIN: B01HRCG7B4. *His Christmas Package (Deal, Not Free) by Bella Love-Wins. Price: $0.99. Genre: Adult Sports Romance Deal of the Day, Sponsor, Adult Holiday Christmas Romance. Rated: 5 stars on 1 Reviews. 160 pages. ASIN: B01M04S3A1. *Unwanted Girl (Deal, Not Free) by MK Schiller. Price: $0.99. Genre: Multicultural Romance Deal, Sponsor, Asian American Romance. Rated: 4.5 stars on 39 Reviews. 292 pages. ASIN: B00WPRBNSO. ***NAKED: Stripped by a Man and Hurricane Katrina (Deal, Not Free) by Julie Freed PhD. Price: $4.49. Genre: Biographies & Memoirs Deal, Sponsor, Southern Memoirs, Motherhood, Natural Disasters, Hurricane Katrina. Rated: 4.9 stars on 168 Reviews. 200 pages. ASIN: B00T25NPUG. Free For Kindle Unlimited Borrowing. *Conversation Tactics: Workplace Strategies (Book 4) – Win Office Politics, Disarm Difficult Coworkers, Get Ahead & Rise To The Top by Patrick King. Price: $0.99. Genre: Essential Office Skills Book Deal, Sponsor, Nonfiction. Rated: 5 stars on 11 Reviews. 288 pages. ASIN: B01LWQBZEY. *(Free For Kindle Unlimited) Love’s True Home: A Christian Western Romance (Looking Glass Lake Series Book 1) (Deal, Not Free) by Rebecca Nightsong. Cost: $3.99. Genre: Christian Western & Frontier Romance Deal, Sponsor, Christian Romance. Rated: 4.9 stars on 26 Reviews. 326 pages. ASIN: B01LA4SDN0. **The Brotherhood of Merlin: Book One (Deal, Not Free) by Rory D Nelson. Cost: $0.99. Genre: Arthurian Fantasy Deal, Sponsor, Myths & Legends. Rated: 4.7 stars on 63 Reviews. 400 pages. ASIN: B01GGCDMF0. *Travesty (Deal, Not Free) by Carrie Thomas. Price: $0.99. Genre: YA Contemporary Romance Deal, Sponsor, Coming of Age. Rated: 5 stars on 1 Reviews. 222 pages. ASIN: B01LTGUGAC. **Don’t Forget to Breathe (Deal, Not Free) by Cathrina Constantine, Rue Volley. Price: $0.99. Genre: YA Contemporary Romance Deal, Sponsor, YA Romantic Thriller, YA Mystery & Detective. Rated: 4.5 stars on 73 Reviews. 265 pages. ASIN: B00TAHWYIK. *The Orphan Fleet (Deal, Not Free) by Brendan Detzner. Price: $0.99. Genre: YA Fantasy Deal, Sponsor, YA Steampunk, YA Science Fiction. Rated: 4.2 stars on 17 Reviews. 83 pages. ASIN: B01DE64UI4. ***They Call Me Crazy (A Cass Adams Novel Book 1) (Deal, Not Free) by Kelly Stone Gamble. Cost: $0.99. Genre: Mystery Deal, Sponsor, Women Sleuths, Contemporary Women. Rated: 4.6 stars on 152 Reviews. 205 pages. ASIN: B00OSTANDS. *The Queens Garden Party (Deal, Not Free) by Terry Godwin. Cost: $0.99. Genre: Literary Fiction Deal, Sponsor, Poetry. Rated: 5 stars on 1 Reviews. 311 pages. ASIN: B01DFMOB1I. *Ryder: Demonsong (Ryder Novels Book 1) (Deal, Not Free) by Luke Romyn. Cost: $0.99. Genre: Action & Adventure Deal, Sponsor, USA Today Bestselling Author. Rated: 4.8 stars on 20 Reviews. 486 pages. ASIN: B00SEFPS2S. USA Today Bestselling Author Luke Romyn. *DEADSPEAK (The DEADSPEAK Mysteries Book (Deal, Not Free)1) by Ruth Bainbridge, BZ Hercules. Cost: $0.99. Genre: Supernatural Mystery Deal, Sponsor, Thriller, Murder. Rated: 4.9 stars on 7 Reviews. 288 pages. ASIN: B01LM8ST1K. *Transformed: Paris: A Quirky Queer Spy Novel, #2 (Deal, Not Free) by Jack Harvey, Suzanne Falter. Cost: $0.99. Genre: Cozy Mystery Deal, Sponsor, Thriller. Rated: 4 stars on 6 Reviews. 218 pages. ASIN: B01K0T768E. **Flapjack (The Case Files of Icarus Investigations Book 1) (Deal, Not Free) by Daniel Ganninger. Cost: $0.99. Genre: Mystery Deal, Sponsor, Suspense Thriller, Private Investigator. Rated: 4.1 stars on 210 Reviews. 304 pages. ASIN: B00EYXJSNO. **Brave Bear Mated (Ouachita Mountain Shifters Book 7) (Deal, Not Free) by P. Jameson. Cost: $0.99. Genre: Adult Bear Shifter Deal, Sponsor, Paranormal Romance. Rated: 4.9 stars on 49 Reviews. 166 pages. ASIN: B01M04IJVA. **Ascenders: High School for the Recently Departed (Ascenders Saga Book 1) (Deal, Not Free) by C.L. Gaber. Cost: $0.99. Genre: Paranormal Romance Deal, Sponsor, Coming of Age, YA Romance. Rated: 4.7 stars on 100 Reviews. 430 pages. ASIN: B00VF8EHP0. *Southern Sunset (44 South, Book 1): A Small Town Mystery Romance Series (Deal, Not Free) by Nicola Claire. Cost: $0.99. Genre: Romance Deal, Sponsor, Romantic Suspense. Rated: 4.8 stars on 4 Reviews. 328 pages. ASIN: B01LZITWTX. ***Torn Trousers: A True Story of Courage and Adventure: How A Couple Sacrificed Everything To Escape to Paradise (Deal, Not Free) by Andrew St.Pierre White, Gwynn White. Cost: $0.99. Genre: Biographies & Memoirs Deal, Sponsor, Adventurers & Explorers, Travel. Rated: 4.3 stars on 425 Reviews. 363 pages. ASIN: B00TVFJ98Y. *Cash Flow Kickstart: How To Simplify Your Finances, Increase Your Savings, And Control Your Cash Flow Without Tracking Expenses (Deal, Not Free) by by David C. Lewis. Cost: $0.99. Genre: Personal Finance Deal, Sponsor, Business & Money. Rated: 5 stars on 1 Reviews. 19 pages. ASIN: B01KKZMZ7K. *Lovin’ Each Day: Unleash Your Passions for a Life of Love, Health, and Happiness (Deal, Not Free) by Mike Smith. Cost: $0.99. Genre: Nonfiction Book Deal, Sponsor, Self-Esteem, Happiness. Rated: 5 stars on 1 Reviews. 104 pages. ASIN: B01LFHQRMG. ***Diary of a Fat Girl: How I Lost 140 Pounds, Overcame Binge Eating Disorder, and Learned to Love Myself After Weight Loss Surgery (Deal, Not Free) by Lisa Sargese. Cost: $0.99. Genre: Health & Fitness Deal, Sponsor, Eating Disorders, Body Image, Weight Loss. Rated: 4.9 stars on 98 Reviews. 284 pages. ASIN: B0146UK66W. *Google Adwords Secrets Exposed: How You Can Navigate the Complicated World of Online Marketing and Come Out on Top. (Deal, Not Free) by Jeremy Overturf. Cost: $0.99. Genre: Nonfiction Deal, Sponsor, Accounting & Marketing, Google Adwords Guide, Business & Money. Rated: 5 stars on 12 Reviews. 43 pages. ASIN: B01LXLGI6J. *(Box Set Deal, Not Free) Mail Order Bride Box Set – Sun River Brides – 9 Mail Order Bride Stories Collection: Clean and Wholesome Historical Western Romance Box Set Bundle (Deal, Not Free) by Karla Gracey. Cost: $0.99. Genre: Christian Romance Box Set Deal, Sponsor, Christian, Western & Frontier. Rated: 4 stars on 4.4 Reviews. 448 pages. ASIN: B01GQ9UEQ8. *Kingdom Of God (God’s Children Book 2) (Deal, Not Free) by Pertti Pietarinen. Cost: $2.99. Genre: Christian Book Deal, Sponsor, Christian Bibles. Rated: 5 stars on 1 Reviews. 51 pages. ASIN: B01IL72N4Y. *Dreamdrifter (Sylvan Cycle Book 2) (Deal, Not Free) by Alycia Christine. Cost: $0.99. Genre: Epic Fantasy Deal, Sponsor, Sword & Sorcery. Rated: 5 stars on 1 Reviews. 440 pages. ASIN: B01ILJR6SU. *Coolant (Deal, Not Free) by Kenneth Brown, Sean Hoade, Gypsy Heart Editing, Edits By V. Price: $2.99. Genre: Horror Deal, Sponsor, Occult. Rated: 4.5 on 2 Reviews. 224 pages. ASIN: B01F5NH3K6. *My Name is Simon: I, Dragon Book 1 (Deal, Not Free) by Nathan Roden. Cost: $0.99. Genre: Horror Deal, Sponsor, Dark Fantasy, Coming of Age. Rated: 5 stars on 1 Reviews. 286 pages. ASIN: B01LZX5GNE. *Role of a Lifetime (Deal, Not Free) by Amanda Wilhelm. Cost: $0.99. Genre: Women’s Fiction Deal, Sponsor, Contemporary Women. Rated: 4.5 stars on 1 Reviews. 204 pages. ASIN: B01B9P3RYU. **Impact Point: Action-Adventure Thriller by Simon Rosser. Price: $0.99. Genre: Men’s Adventure Deal, Sponsor, Thriller. Rated: 4.1 stars on 128 Reviews. 524 pages. ASIN: B007BGPMNG. *Ready, Set…PROCRASTINATE! 23 Techniques to Stop Procrastinating, Get More Done & Achieve Your Biggest Goals (Deal, Not Free) by Akash Karia. Cost: $0.99. Genre: Self-Help Deal, Sponsor, How To End Procrastination, Personal Finance. Rated: 4.8 stars on 12 Reviews. 91 pages. ASIN: B01M0K440X. *Two Graves: A Novella (Retribution Series Book 1) (Deal, Not Free) by Zoe Kalo. Cost: $0.99. Genre: Psychological Thriller Deal, Sponsor, Suspense. Rated: 4 stars on 12 Reviews. 68 pages. ASIN: B01LDIXCR0. *(Free For Kindle Unlimited) Dragon’s Ark (Gemini Gambit Book 2) (Deal, Not Free) by D. Scott Johnson. Cost: $1.99. Genre: Science Fiction Adventure Deal, Sponsor, Cyberpunk. Rated: 5 stars on 1 Reviews. 439 pages. ASIN: B01LD5BYV4. *On The Black: Africa (Deal, Not Free) by Theo Cage, Russell Smith. Cost: $0.99. Genre: Espionage Thriller Deal, Sponsor, Suspense Thriller. Rated: 4.8 stars on 22 Reviews. 438 pages. ASIN: B0170G5VQY. *An Icy Death: The High Country Mystery Series (The High Country Mystery Series Book 5) (Deal, Not Free) by Loretta Jackson, Vickie Britton. Cost: $0.99. Genre: Cozy Mystery Deal, Sponsor, Crime Thriller, Crime Fiction. Rated: 5 stars on 6 Reviews. 232 pages. ASIN: B00U536EYI. ***Something Great (Deal, Not Free) by M. Clarke, Bookfabulous Designs. Cost: $0.99. Genre: Adult Romance Deal, Sponsor, Coming of Age, New Adult & College Romance. Rated: 4 stars on 463 Reviews. 291 pages. ASIN: B00DZ07ATQ. *(Box Set Deal, Not Free) Lancaster County Second Chances 6-Book Boxed Set Bundle (Lancaster County Second Chances (An Amish Of Lancaster County Saga) 7) (Deal, Not Free) by Ruth Price. Cost: $0.99. Genre: Christian Romance Box Set Deal, Sponsor, Amish Romance, Clean Romance. Rated: 4.7 stars on 41 Reviews. 831 pages. ASIN: B013CSOEY4. *Olympia (Olympus Book 1) (Deal, Not Free) by Kris Kramer. Cost: $0.99. Genre: Dystopian Science Fiction Deal, Sponsor, Fantasy, Mythology, Fairy Tales. Rated: 4.4 stars on 11 Reviews. 498 pages. ASIN: B00O1IBHWC. *Fear Me, Fear Me Not (Deal, Not Free) by Elodie Nowodazkij. Cost: $2.99. Genre: Contemporary Romance Deal, Sponsor, Romantic Suspense. Rated: 5 stars on 3 Reviews. 378 pages. ASIN: B01IRBMVZ0. Free For Kindle Unlimited. *The Queens Garden Party (Deal, Not Free) by Terry Godwin. Cost: $0.99. Genre: Literary Fiction Deal, Sponsor. Rated: 5 stars on 1 Reviews. 311 pages. ASIN: B01DFMOB1I. *Someone Has Taken My Place (Deal, Not Free) by David Snow. Cost: $0.99. Genre: Mystery Deal, Sponsor. Rated: 4.4 stars on 23 Reviews. 400 pages. ASIN: B00AQJDIJK. ISBN: 1480035483. *Military Romance Series: Soldier’s Bride: (Alpha Billionaire Arranged Marriage Romance) (Military Romance Novels) (Deal, Not Free) by Bella Rayne. Cost: $0.99. Genre: Adult Military Romance Box Set Deal, Sponsor, Short Stories, Military. Rated: 4.9 stars on 10 Reviews. ASIN: B01GUDSN1S. *Time of the Draig (Deal, Not Free) by Lisa Dawn Wadler. Cost: $2.99. Genre: Adult Scottish Historical Romance Deal, Sponsor, Time Travel Romance. Rated: 4.6 stars on 10 Reviews. 342 pages. ASIN: B01H5XQI6Y. *The Five Paths to Happiness: The Keys to Living a Happy Life According to Your Personality (Deal, Not Free) by Javier Ramon Brito. Cost: $2.99. Genre: Self-Help Book Deal, Sponsor, Happiness. Rated: 4.5 stars on 2 Reviews. 81 pages. ASIN: B01KI6YXWQ. *(Free For Kindle Unlimited) Dead Man’s Journey (Deal, Not Free) by Phillip Cook. Cost: $0.99. Genre: Christian Mystery Deal, Sponsor, Suspense Thriller. Rated: 4 stars on 8 Reviews. 279 pages. ASIN: B00CR3UCZQ. *Mars Endeavour (Deal, Not Free) by Peter Cawdron, Andrew Rader. Cost: $0.99. 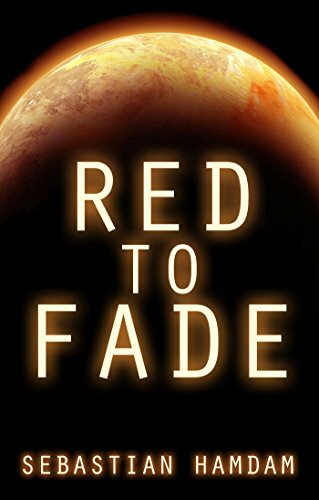 Genre: Science Fiction Deal, Sponsor, War & Military, Space Exploration. Rated: 4.9 stars on 18 Reviews. 212 pages. ASIN: B01LVTXHC2. *Swords of the Imperium (Dark Fantasy Novel) (The Polaris Chronicles Book 2) (Deal, Not Free) by Bryan Choi, E H Carson. Cost: $0.99. Genre: Epic Fantasy Deal, Sponsor, Dark Fantasy, Horror. Rated: 5 stars on 2 Reviews. 245 pages. ASIN: B01LVVZBX2. *Artifact of Creation: Fantasy Science Fiction Anthology: The Awakening (The Awakening Book Series 1) (Deal, Not Free) by D James Larsen. Cost: $0.99. Genre: Science Fiction Deal, Sponsor, Fantasy, YA Science Fiction, YA Fantasy. Rated: 4.6 stars on 13 Reviews. 41 pages. ASIN: B01L2SANF0. *Daddy 3.0: A Comedy of Errors (Deal, Not Free) by Rob Armstrong. Cost: $0.99. Genre: Literary Fiction Deal, Sponsor, Satire, Memoirs, Parenting & Marriage, Trip Down Memory Lane. Rated: 5 stars on 19 Reviews. 257 pages. ASIN: B01JLFUY78. ISBN: 0997588101. *A Warrior’s Heart (Deal, Not Free) by Amanda McIntyre. Cost: $0.99. Genre: Adult Western Romance Deal, Sponsor, Native America. Rated: 5 stars on 2 Reviews. 182 pages. ASIN: B01M0GWXS3. **Eat Wheat: A Scientific and Clinically-Proven Approach to Safely Bringing Wheat and Dairy Back Into Your Diet (Deal, Not Free) by John Douillard. Cost: $0.99. Genre: How to Achieve Weight Loss Book Deal, Sponsor, Weight Loss, Allergies, Health, Wheat Free. Rated: 5 stars on 49 Reviews. 325 pages. ASIN: B01I9NFIDI. Author was a Guest on Dr. Oz Show, and has been featured in Woman’s World Magazine & Yoga Journal. *General Lee’s Jacket: From the Case Files of Oatmeal and Grits (Deal, Not Free) by Robert Spearman. Cost: $0.99. Genre: YA Cozy Mystery Deal, Sponsor, Short Stories. Rated: 5 stars on 8 Reviews. 23 pages. ASIN: B01LWW6O0T. *The Train from Outer Space: Two Kids Team up with Friendly Aliens to Fight Space Monsters to Save Earth (Science Fiction Book for Kids 9-12) (Deal, Not Free) by Alan Sproles. Cost: $0.99. Genre: Children’s Book Deal, Sponsor, Science Fiction Adventure. Rated: 4.9 stars on 17 Reviews. 222 pages. ASIN: B01GUF9IB0. Posted on December 20, 2015 Author prepperfreebooksCategories Uncategorized1 Comment on Hello world!